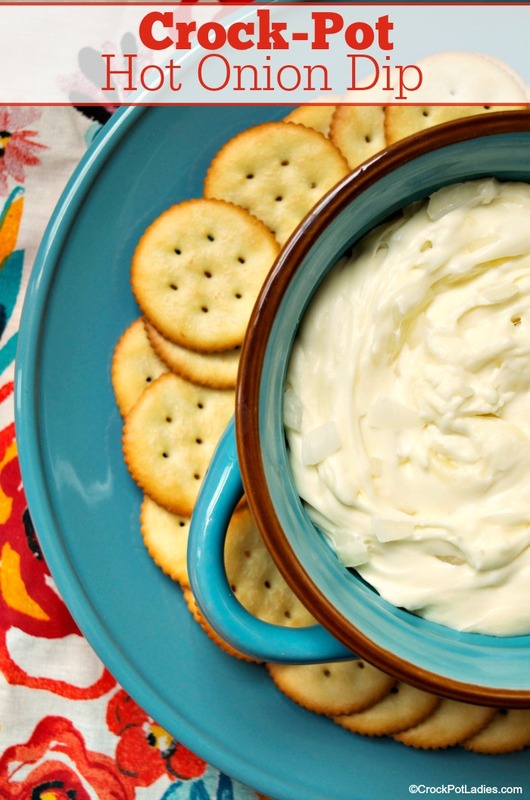 Onion lovers unite when you dip on into this warm onion dip. 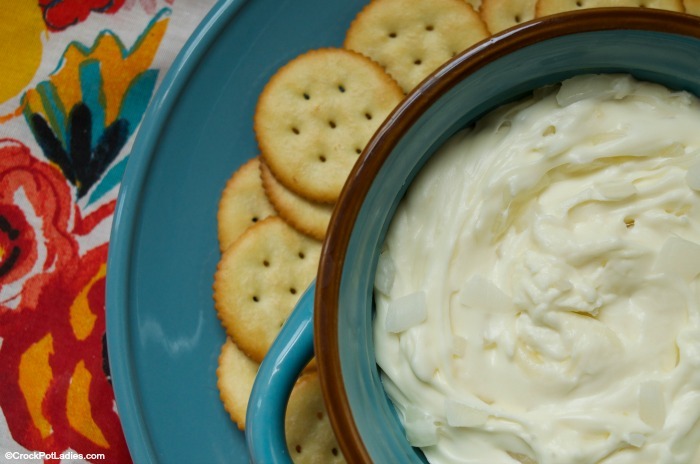 Made with only 4 ingredients your party guests are going to LOVE this creamy onion dip. In this recipe I strongly suggest using a good sweet onion so that your dip has a lot of flavor but does not pack that wallop of a onion punch. Something like a Vidalia onion or a Walla Walla onion will work great in this recipe. The rest of the ingredients are just cream cheese, mayonnaise and shredded Parmesan cheese. Use the best quality ingredients (including real Parmesan) if you can for the best results. Once you have your onions chopped and your cream cheese cubed just throw everything in a small 2.5 to 3 quart casserole (like this 2.5 quart mini casserole Crock-Pot which is perfect for all sorts of yummy warm dips) and let it cook for about an hour and a half to two hours. Giving everything a quick stir about every 30 minutes or so to make sure the cheeses are melting. Once the dip is hot and bubbly you are ready to serve. Flip your slow cooker to the WARM setting and set out some crackers, chips or cut up fresh veggies like carrot sticks, celery sticks, bell peppers and jicama and let your party guests dig in! With only 4 ingredients this simple yet tasty recipe is perfect for your next party. Serve with your favorite crackers, chips or crudités (raw vegetables) and dip on in. 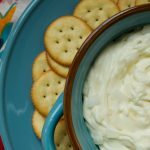 If you like onions you are going to LOVE this onion dip! 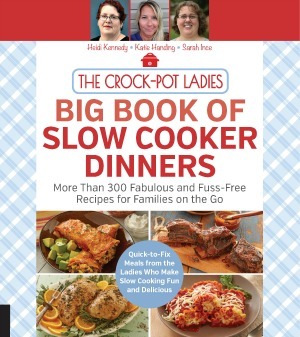 Add all ingredients to a small 2.5 to 3 quart slow cooker. Cover and cook on LOW for 1.5 to 2 hours, stirring every 30 minutes until the cream cheese is melted and the onions are cooked. Serve and enjoy with crackers, chips or cut up vegetables. This looks so simple. I think I will try it this weekend. Looks like it would be great for dipping veggies too.Thanks for sharing. Thanks for stopping by May, let us know how your dip turns out with the veggies! Yummmm! I love dips too and this sounds great!!! Looks yummy. Pinned! Simple and easy and that’s for me. Thank you for sharing. Silly question but can someone tell me if the onions become soft and cooked in this dip rather than crunchy? they will not be completely soft. you can taste them and the texture is still there.